Today, we have a tester’s corner from Wavedash! Hello there. My name is wavedash. 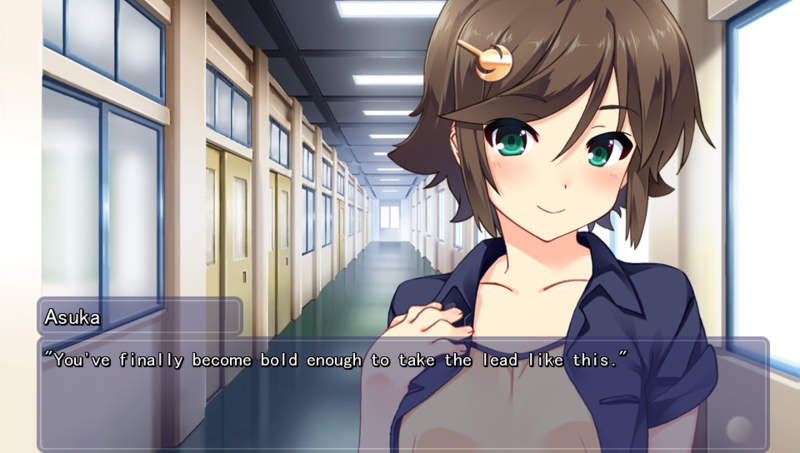 In this Tester’s Corner, I’ll be giving a quick spoiler-free overview of what Himawari is about, specifically what I believe it’s about. 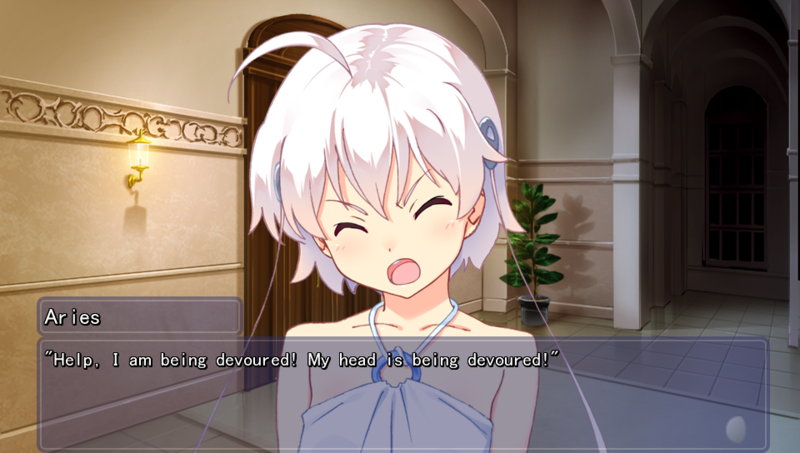 In my opinion, most visual novels cannot be adequately summarized without touching upon their themes. Characters and settings usually aren’t enough, and are often misleading. For example, Kira☆Kira isn’t just about a band. It’s about the power of music; its ability to bring people together and profoundly change them. Of course, this is easier said than done; themes are subjective and some may involve spoilers. In my eyes, Himawari has two main themes. First, our dreams and how they change as we do. Second, how our pasts and futures shape our present selves. 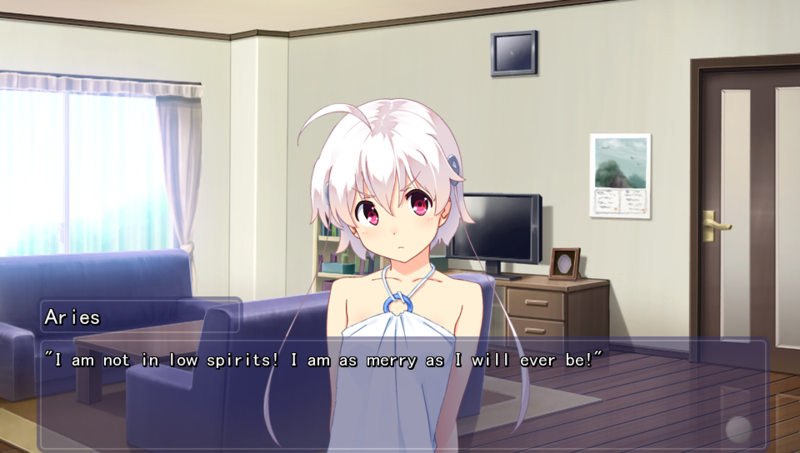 Every major character in Himawari is driven by their dreams, their pasts, or their futures. For better or for worse. None of these are particularly creative by themselves, but Himawari approaches them from many directions. What if you had no dreams? What if you had no past? …Or no future? Hinata Youichi, the main protagonist, is a painful reminder that amnesia can have a severe impact on one’s life. Losing both his memories and his family in an accident, he knows nothing about his town, his school, or himself. A complete lack of goals or aspirations, surrounded by reminders of tragic loss. What effect would this have on one’s psyche? 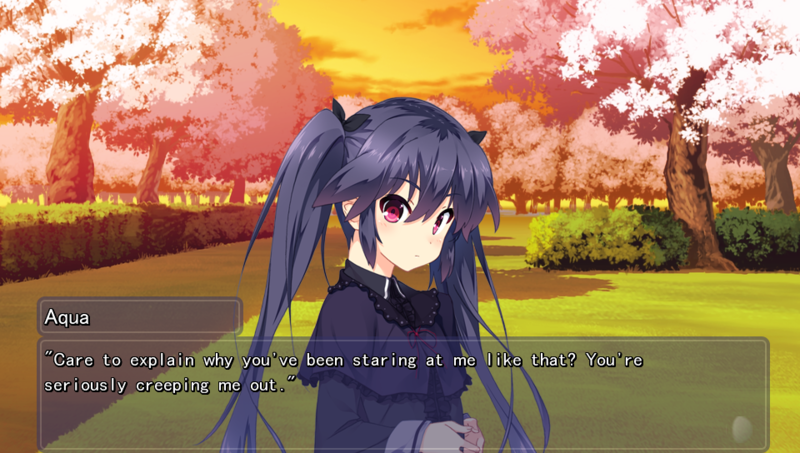 Almost half of Himawari takes place several years before the common route, presented from the point of view of various other characters. Every character in the game is defined by their pasts, many shackled to it. Can they break free? Do they even want to? Where is the line drawn between denying one’s past and moving on from it? Lack of a future, something we all take for granted, is perhaps more devastating than the previous two combined. Being stuck in the past denies you of your future, but it’s far from the worst way to “lose” your future. More morbidly, how would you live your life if your knew the day you would die? Or if you were driven by belief of impending doom for all of mankind? While all this might sound rather heavy, keep in mind that these themes are *in addition* to what you might see on the surface. 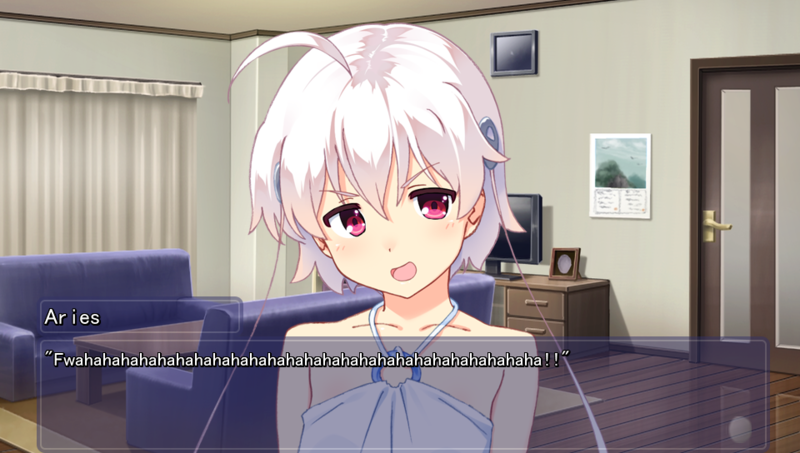 There’s definitely no shortage of comedy and cute girls. 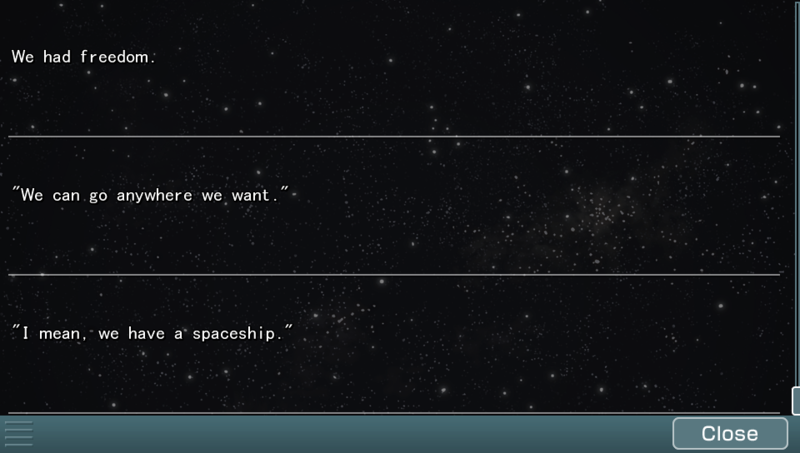 Aries, the main girl/alien, provides some amazing comic relief. But Aqua is cuter, of course. 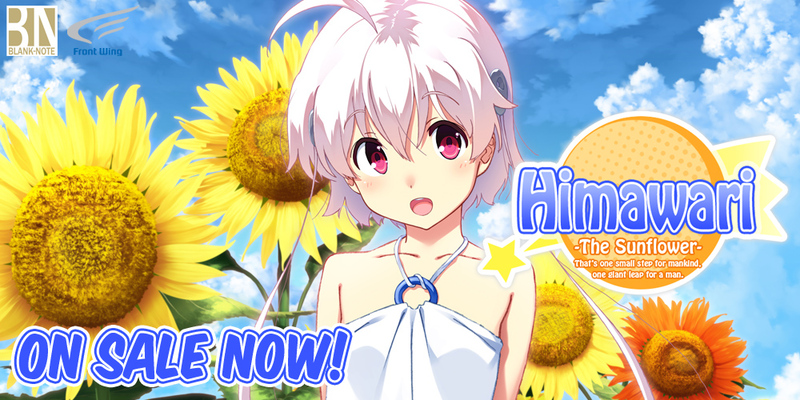 Himawari – The Sunflower – is now available on MangaGamer.com and Steam! Oh boy by the look of it that’s MS Gothic font? Should’ve used MS PGothic better spacing between letters.